Every roll is printed with the iconic King & Wilson shield making it recognizable wherever its final destination. Brands become iconic by being synonymous with service, quality and reliability. King & Wilson World Wide Moving and Storage embodies these virtues and has forged a reputation for their superior service and moving efficiency over more than 100 years in the removals and storage business. Yes, 100 years! 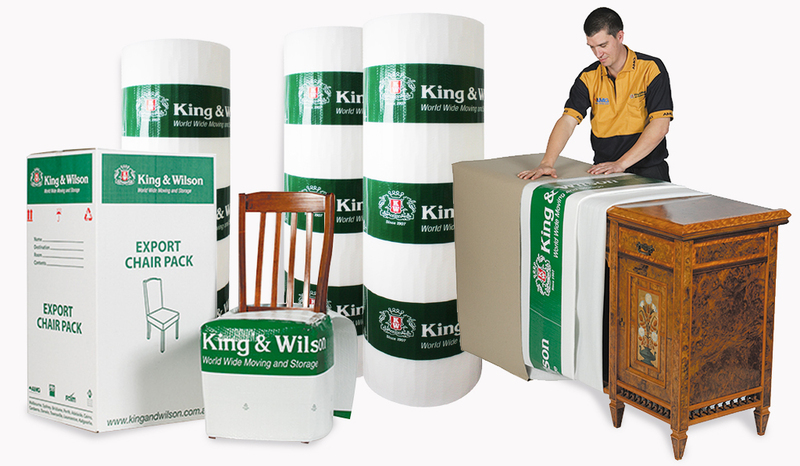 As Inter-Continental moving specialists, King & Wilson have had to develop a protective wrap suited to the unique and sometimes hard-wearing conditions of packing and moving large volumes of international freight by sea, air and road. For more than 8 years Sancell have proudly manufactured the King & Wilson export wrap. This product has evolved with new manufacturing technologies and market requirements throughout this time. In its present form it is a purpose-engineered, recyclable, custom printed wrap recognizable all around the world. What makes the King & Wilson export wrap so effective? 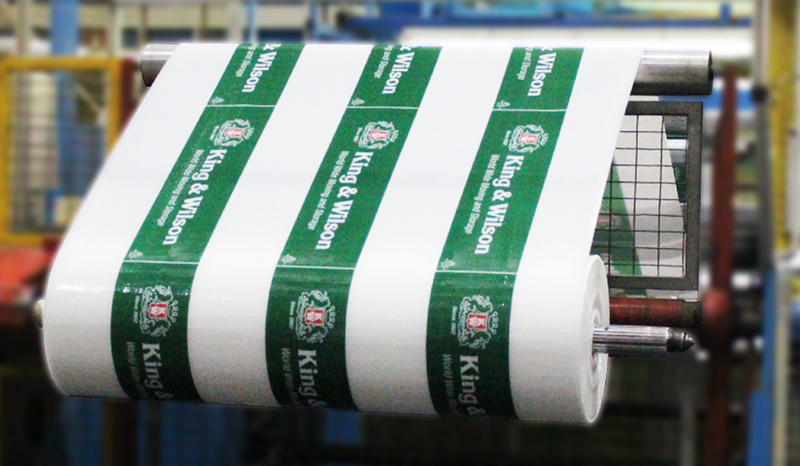 Every roll is printed with the iconic King & Wilson shield making it recognizable wherever its final destination. The Transmission Film inner layer prevents scratching or marking and does not leave residue on highly polished furniture. King & Wilson export wrap allows a certain amount of breathability reducing moisture build up during long sea journeys and periods of extended storage. The robust polyethylene outer film is puncture and tear resistant while allowing tape and labels to adhere securely. The strength of this wrap makes it suitable and strong enough for re-use where appropriate. Being LDPE it is 100% recyclable and suited to international standards around soft plastics recyclability. There are a myriad of reasons King & Wilson continue to use Sancell manufactured products after more than 8 years. Ultimately the longevity of the Sancell and King & Wilson working relationship speaks for itself. From Sancell’s perspective it is a privilege to manufacture products for such well respected brands and we hope to continue manufacturing King & Wilson export wrap and helping people move around the world for another 8 years and beyond!